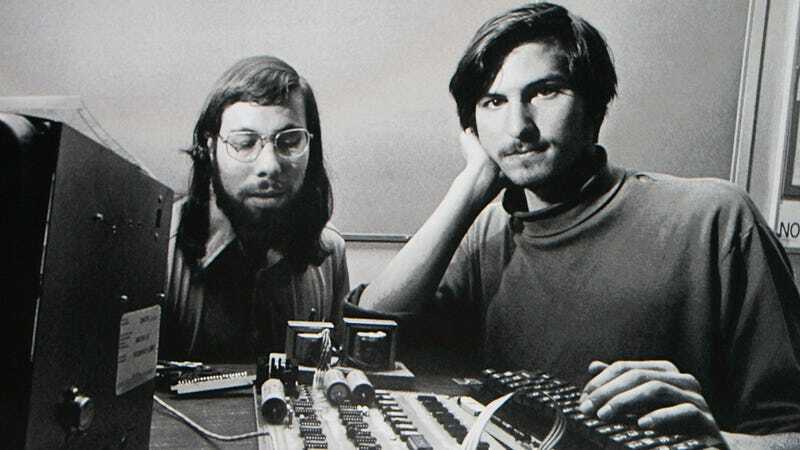 Apple cofounder Steve Jobs is remembered today as a genius renaissance man, but he was once just a dirtbag kid who was bad at filling out job applications. One application, from 1973, just sold for $174,757. Along with other Jobs-related items, the application far exceeded its estimate. RR Auction finalized the staggering sale on Thursday and it’s surely quite pleased with the results considering its expectation was set at “more than $50,000.” The sale price is even more impressive when you consider that the same item sold at Bonhams last December for $18,750. At that rate of increase, Jobs could beat his hero Leonardo DaVinci’s auction record in no time. The bidder was anonymous. Other items up for auction included a newspaper clipping from the launch of the iPhone 3G that was signed by Jobs and former senior vice president of Apple’s iPod division, Tony Fadell. It sold for $26,950, while a signed Mac OS X Manual went for $41,806. Both items included backstories of the original owners having to twist Steve’s arm to get an autograph, a practice he typically refused to take part in. The consignor of the manual said that Jobs told him, “I feel weird doing that,” at first. But after some prodding, he said, “give me those,” (referring to the pen and manual) and signed away. It’s easy to see why the job application (embedded below) was the hot item. It’s more than just a rare signature; it’s a window into the day-to-day struggles of a young college dropout reluctantly doing the man’s bidding. Three years before he and Steve Wozniak would go on to found Apple, he dropped this application off at an unidentified employer. We don’t know if he got the gig, but if I were reviewing his application I wouldn’t have hired him. He lists no previous employment, says his access to transportation is “possible, but not probable,” and he can’t type. In the “special abilities” section he writes, “electronics tech or design engineer. digital.—from Bay near Hewitt-Packard.” That’s right, his bona fides for his digital ability are that he’s from the Bay Area and he can’t even spell Hewlett-Packard. Bobby Livingston, executive vice president at RR Auction, told CNET that past generations were into collecting memorabilia from the Beatles but he’s seen an uptick in interest for tech-related items in the last decade. “There are personality traits in his handwriting that because of him and autocorrect, we’re going to lose,” he noted. It’s true that Jobs’ cursive is pretty decent, but it’s also interesting that he doesn’t use capital letters or proper punctuation. Jobs was always ahead of the curve.